Although we like to think we’re rational, Nobel winner Kahneman shows that our minds are stuffed with habits that often lead us astray. The founder of behavioral economics, he’s been called the most important psychologist alive today. Thinking is “so utterly, refreshingly anti-Gladwellian. 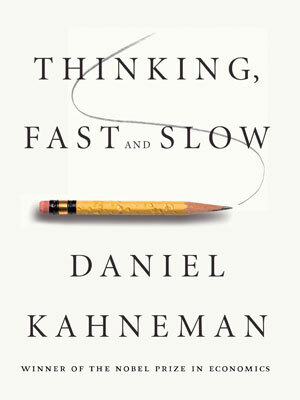 There is nothing pop about Kahneman's psychology, no formulaic story arc, no beating you over the head with an artificial, buzzword-encrusted Big Idea. It's just the wisdom that comes from five decades of honest, rigorous scientific work, delivered humbly yet brilliantly, in a way that will forever change the way you think about thinking”. ―Maria Popova, The Atlantic.